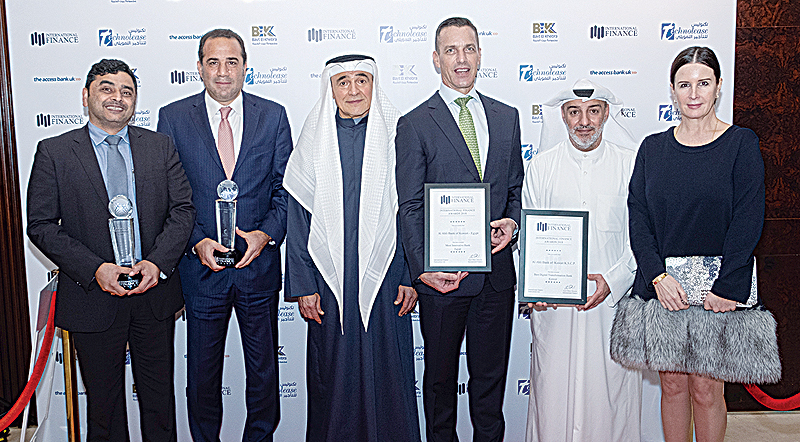 KUWAIT: Al-Ahli Bank of Kuwait (ABK), was honored with two awards at the recently held International Finance Magazine (IFM) Awards 2019 in Dubai, United Arab Emirates. 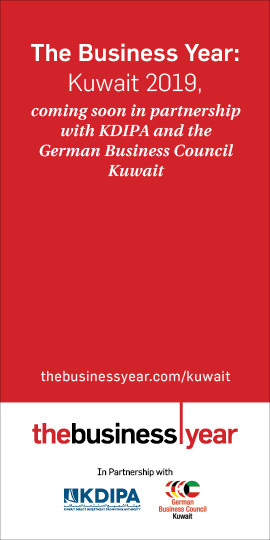 ABK-Kuwait won the title of ‘Best Digital Transformation’ having successful integrated a number of digital services for its customers through the year, while ABK-Egypt was awarded the ‘Most Innovative Bank’ for introducing new products into the market while raising the bar on customer service excellence and market positioning. Receiving the award on behalf of ABK-Egypt was Ali Marafi, Chairman of ABK-Egypt and Khaled El Salawy, CEO & MD of ABK-Egypt and on behalf of Kuwait, Salem Hussein Al Sarraf (CTO) and Sridhar Kasisomayajula (CIO). 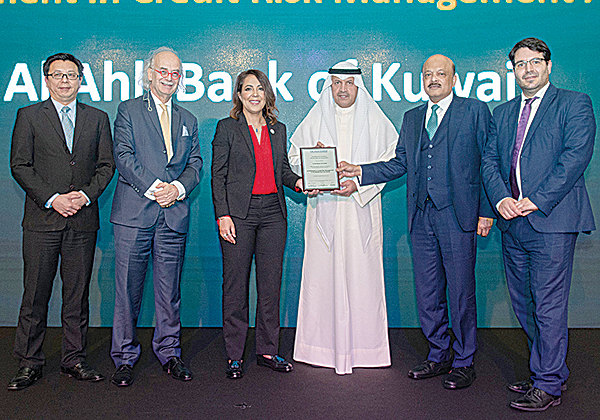 The awards recognize ABK’s demonstration of customer service and implementation of the bank’s strategy of ‘simpler banking’ through a broad range of new digital services designed to make the banking experience more accessible and convenient for customers. ABK has invested tremendous energy and effort in the last two years to deliver enhanced quality and simplified solutions to support each individual’s requirements. 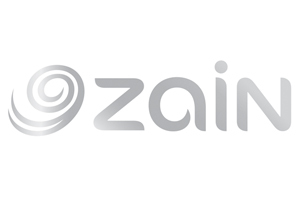 The award is a testament of the Bank’s strong reputation and underlines their commitment towards creating and developing services that are built on their unwavering philosophy of ‘Reimagining a Simpler Bank’. The IFM award recognizes exceptional individuals and institutions who have exhibited contributions in their respective domains that generated international resonance. The winners are selected by a qualified research team that identifies unique accomplishments.